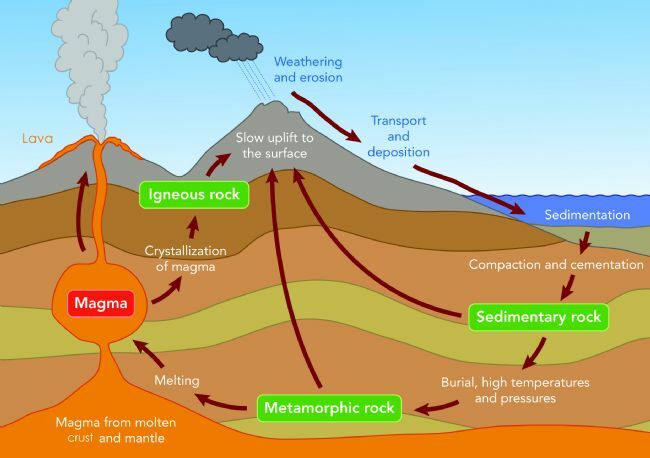 Without the rock cycle we wouldn't be here, it’s as simple as that! All the rocks on Earth are constantly being recycled. 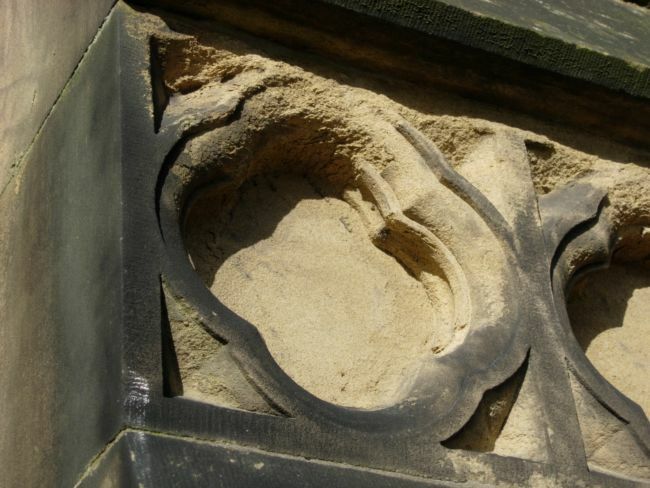 Round and round they go, being buried, eroded, melted, reformed, heated, squashed, blasted out and weathered. Any rock you might come across is part of that cycle. It’s hard to imagine that to rub a pumice stone on your foot is to start that igneous rock on its long journey to becoming a sedimentary one. - Drag chalk down a blackboard and you're eroding rock. - Throw a stone in a river and you're transporting rock. - The wind and rain hitting your house will weather away the stone or slate tiles. From the imperceptible movement of single clay particles to the violent eruption of a Hawaiian volcano, the Rock Cycle is vital to understanding our Earth and everything on it. Every kind of rock, whether igneous, sedimentary or metamorphic, can eventually, through a whole host of fascinating processes, become one of the other types of rock. This is a constant, never-ending cycle that will last as long as our planet and it has an impact on our lives every day.